Be mindful at all times of the following: the nature of the whole universe, the nature of the part that is me, the relation of the one to the other, the one so vast, the other so small. No one can ever prevent me from saying and doing what is in complete conformity with the whole of which I am so small yet integral a part. —River Care Team: Saturdays and Sundays after training. The River Care Team communicates with anglers and other visitors along the Elm Fork at LLELA, discussing river stewardship and proper disposal of trash. Contact: Lisa Cole, lcole@cityoflewisville.com. —Outdoor Education: Monday-Saturday, times vary. Lead short nature hikes with students or assist staff with school group labs. Assist with weekend family events such as Stars on the Prairie, Night Hikes, etc. The next training for outdoor education volunteers will take place on September 30, 2017. Contact Lisa Cole, lcole@cityoflewisville.com. —Weekly and monthly workdays: Wednesday mornings and one Saturday a month, 9:00 AM – 12:00 PM., including, September 16, 2017 (volunteers meet at the Greenhouse between 8:30 and 9:00 AM. We will wrap up about noon. Please arrive by 9:00 as we may carpool to other locations on the LLELA property for workday activities). Volunteers work on prairie restoration, plant propagation, seed collection, removal of exotic species, trail maintenance, and other projects. To volunteer and for specifics about directions, etc., contact Richard Freiheit richard.freiheit@unt.edu or Laura Kimberly lrkimberly@gmail.com, 214-728-736. Dallas NPSOT celebrates Thoreau. The Dallas chapter of the Native Plant Society’s September 18 meeting, 7p.m., Midway Hills Christian Church, 11001 Midway Road, Dallas. “Henry David Thoreau’s Flowering: Why His Thought and Work Still Matter Today” by Lauren Hehmeyer, a professor of History and English at Texarkana College. To celebrate Thoreau’s 200th birthday, Ms. Hehmeyer will cover the varied aspects of Henry David Thoreau’s life, emphasizing his place as one of our first naturalists and particularly his interest in wild flora. She will explore why so many across the world still admire and celebrate the thoughts of this American, even after two hundred years! A lichen is composed of one or more (out of tens of thousands of) species of fungi living with one or more (out of hundreds of) species of algae and possibly one (of fewer than one hundred of) cyanobacterial species. Combinations of those three taxa have created characteristics that defy human-made rules to classify them. It would take longer than a human lifetime to become an expert in all the species of lichens. It would certainly take a much larger book to describe all the variable characteristics that arise due to those combinations. While thin-layer chromatography (TLC) procedures and molecular DNA studies are being used to sort out lichen relationships and lineages of lichen taxa, they are beyond the scope of a general introductory guide. This guide is intended to help the user begin the journey of learning about lichens based on ecological, morphological, and chemical characteristics of species found in the Southern Great Plains region. To order your copies, call 817-332-4441 ext. 264. When art meets nature…2 galleries in Dallas feature nature-related art this month. Arlington Conservation Council is an environmental non-profit organization involved with conservation efforts in Arlington, TX, and the surrounding Dallas-Fort Worth area. Our mission: ACC works to protect Arlington’s natural environment through education, community service, and advocacy for a sustainable future. Monthly meetings the 1st Wednesday at 7-8pm in Fielder House, 1616 W. Abram (Abram & Fielder), Arlington, TX unless noted. Audubon Dallas supports the conservation of birds and other wildlife, the protection of habitat and biodiversity, and the provision of education and opportunities for our entire community to observe and appreciate birds and nature. We teach about our local flora and fauna including the importance of the preservation of local ecosystems through conservation. We post regularly on our Facebook Page and keep records of the birds of Dallas County. Monthly meeting the 3rd Thursday. The Blackland Prairie Chapter of Texas Master Naturalists is one of 44 chapters statewide operating under the sponsorships of the Texas Parks and Wildlife Department and AgriLife Extension Service. Our members, primarily from Collin and far southeast Denton County, are trained and certified volunteers committed to providing education, outreach, and service dedicated to the beneficial management of natural resources and areas within our communities. Our intent is to raise our volunteers’ level of understanding of the natural world so that they will become stewards and promote stewardship in others. Blackland Prairie Raptor Center is dedicated to environmental preservation through public education and the conservation of birds of prey and wildlife in their natural habitat. Named after the tallgrass prairie that once covered more than 23,500 square miles of Texas from the Red River to San Antonio, Blackland Prairie Raptor Center is a rehabilitation and conservation education organization, specializing in fostering better public understanding of the relationship between birds of prey and healthy ecosystems. BRIT’s mission is to conserve our natural heritage by deepening our knowledge of the plant world and achieving public understanding of the value plants bring to life. Founded in 1987 and based in Fort Worth, BRIT documents the diversity of plant life and conducts extensive research around the world. In the last 10 years, BRIT scientists have located and described scores of species previously unknown to science. We are driven to find new plant species and research plant life for agricultural, economic, environmental, medical, and social uses and to share that knowledge in the classroom and the research laboratory. * First Saturday program, 8:00am-12:00pm. Feb. – November. Exhibits, plant ID, Bella’s Storytime, free public tours of our LEED Platinum building. * Free public tours Thursdays 1:30p.m. At an elevation of 633 feet, Cedar Ridge Preserve (formerly the Dallas Nature Center) is a slice of the hill country just 20 minutes from downtown Dallas. Cedar Ridge Preserve is a natural habitat of 600 acres featuring about 9 miles of trails, native trees, grasses and wildflowers, butterfly gardens, limited picnic areas and wild mammals, birds, insects and reptiles. CRP has been managed by Audubon Dallas since April 2003 by charter from the Dallas County Park & Open Space Program and the City of Dallas. Conservation in Action Workdays – Third Saturdays, September through May, 9-Noon; June through August, 8-11 a.m. The nationally accredited Plano Parks & Recreation Department is a key contributor of Plano’s reputation as a city of excellence. Parks and Recreation enhances the lives of residents and visitors by offering outstanding parks, trails and facilities, a variety of enriching programs, special events and activities that contribute to the health, well-being and quality of life in Plano. The purpose of the Native Plant Society of Texas is to promote the conservation, research and utilization of the native plants and plant habitats of Texas, through education, outreach, and example. To this end, the Collin County Chapter holds monthly meetings January through October featuring speakers on topics related to native plants and habitats, sponsors donations for native plant demonstration gardens, plans field trips, and hosts native plant information tables at local outdoor events. Monthly meetings the first Tuesday of each month at 7:00 p.m. (unless otherwise noted) in Laughlin Hall at the Heard Museum in McKinney. Parking lot at Main Entrance – at Alma, South of Bethany Drive in Allen. Public access is also available to the Connemara Nature Preserve via a trail on the eastern edge of the Suncreek Park in Allen. Open to the public daily from dawn until dusk, the Meadow represents 72 acres of natural habitat, rich in floral diversity that is reminiscent of the tall grass Blackland Prairie that once existed here. It is owned and perpetually maintained by the Connemara Conservancy Foundation. The Meadow is made available to the public as a place to revive the spirit while teaching the importance of nature and biodiversity in the world where we live. Nestled on 66 acres of nature preserve in Wagon Wheel Park, the Biodiversity Education Center at Coppell Nature Park promotes and provides hands-on environmental education. Participants of the education programs, for both school and the com​munity, observe and learn about local flora, fauna, and environmental sustainability issues, as well as develop a deeper connection to their environment through nature. 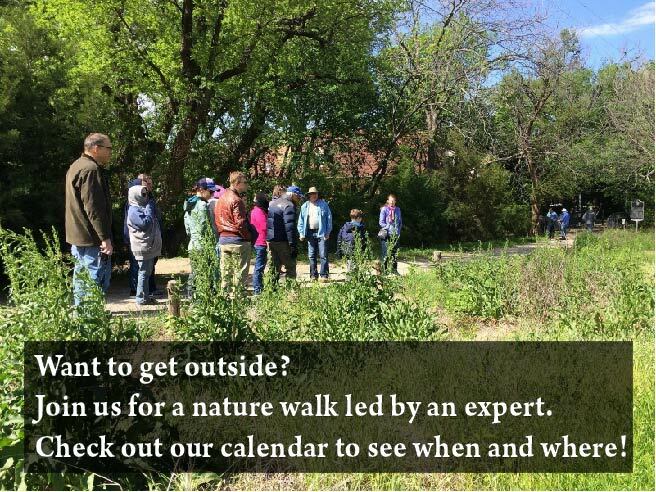 Public programming and guided hikes; see http://www.coppelltx.gov/BEC for dates, times, and topics. Our action-oriented chapter was formed in 1999 and currently consists of many active members. We service Fort Worth and the surrounding areas, and are very fortunate to have prairies, forests and wetlands, all in or near our highly-populated urban setting. Our members really make a difference – we work hard to repair and maintain the fragile beauty around us, and we introduce countless children and adults to the importance of natural resource conservation. Meetings are held at the Fort Worth Botanic Gardens, 3220 Botanic Garden Blvd., normally on the third Monday of the month at 7:00pm. The Dallas County Lepidopterists’ Society was established in 1995. Its purpose is to provide a forum where people may gather to share an interest in butterflies and moths, whether that interest takes the form of collecting, gardening, photography, study or casual observation. Generally, a 4th Saturday conservation workday. In our community, Elm Fork Chapter of the Texas Master Naturalist program will be recognized as a primary source of information, education and service to support natural resources and natural areas today and in the future. 3rd Thursday of each month, program at 10:30. We are a non-profit organization whose volunteers support programs to preserve and enhance White Rock Lake Park. We organize regular clean-up activities, tree planting events, and raise money needed to fund improvements to White Rock Lake Park. Our mission: to promote awareness, appreciation, and understanding of birds and other wildlife while preserving and protecting their natural habitats. * Birding in the Park” – Bird walk the 2nd Saturday of every month at Foster Park with Jean Ferguson. June -Sept. hours are 7:00am – 9:00am. Oct.-May hours 8:30am -10:30am. Meet at Foster Park, Trail Lake Drive & South Drive; one mile north of I-20. Great field trip for beginning birders. Jean will have extra binoculars for beginners. Regular weekend nature walks and talks; check website for times and topics. A small admission fee applies, and there may be a fee for some classes. For 24 years the GDOGC has been a leader in promoting organic gardening methods. Come be a part of a growing club that is passionate about gardening organically. Monthly meeting the 4th Sunday of every month, 2:30-3:30pm (except November and December) at North Haven Gardens, 7700 Northaven Road, Dallas, TX 75230. The Heard’s purpose is threefold: education, conservation, and preservation. The Heard Natural Science Museum & Wildlife Sanctuary emphasizes an appreciation of nature and its conservation through education. The emphasis of the Heard’s education programs is children; however, the Heard also offers programs that will interest visitors of any age. 4th Monday chapter meetings; seasonal wildflower walks. Located in the middle of the 2000 acre East Fork Wetland Project, the John Bunker Sands Wetland Center provides education and research opportunities pertaining to water conservation, wetland systems and wildlife management. The Center serves as the hub of environmental and social interest of man-made wetland habitats on the Rosewood Seagoville Ranch property. This includes the North Texas Municipal Water District’s 2,000 acre East Fork Wetland Project, and an additional 1,200 acres of bottomland hardwood forest restoration as part of the Bunker Sands Mitigation Bank. Our vision is to heal the land and restore the bond between people and nature, ensuring the preservation of our natural heritage for the future. Our Mission is to preserve and restore native Texas ecosystems and biodiversity while providing opportunities for environmental education, research, and recreation. Regular weekend hikes, paddling, and bird walks; topics and times vary. Check http://www.llela.org/activites-programs for a current calendar. The purpose of the Native Plant Society of Texas is to promote the conservation, research and utilization of native plants and plant habitats of Texas through education, outreach and example. 3rd Monday, 7PM at Midway Hills Christian Church in their Fellowship Hall, 11001 Midway Road, Dallas, TX 75229. The purpose of the Native Plant Society of Texas (NPSOT) is to promote the conservation, research, and utilization of the native plants and plant habitats of Texas, through education, outreach, and example. The Blackland chapter formed in July 2014. Many of its members were galvanized by the discovery of original blackland prairie parcels at White Rock Lake in Dallas. The chapter has since been a leading voice to identify, preserve, and promote prairies in Dallas County and beyond. The Native Prairies Association of Texas (NPAT) is a 501(c)(3) non-profit membership and land trust organization dedicated to the conservation, restoration, and appreciation of native prairies, savannas, and other grasslands in Texas. NPAT conserves and protects 2,780.87 acres of native Texas prairie. the Fort Worth chapter is weaving together local prairie professionals, educators, conservationists, landowners, students and members of the public in an effort to conserve, restore, protect and educate our community about the importance of the historic prairies of North Central Texas. The mission of the Native Plant Society of Texas is to promote research, conservation and utilization of native plants and plant habitats of Texas through education, outreach and example. We want all Texans to value native plants, native habitats and healthy ecosystems as essential to the well-being of living things and to our quality of life. Our vision is a future where native habitats are managed as critically beneficial natural assets, and where residential and commercial developments employ sustainable designs that preserve and promote native habitats. Monthly meetings the first Wednesday; check website for location (which varies), and topics. To encourage a greater appreciation and interest in water gardens. To disseminate information of interest and help to the members. To stimulate the study and culture of aquatic plants, fish and ponds. Second Tuesday monthly meetings, 7:30p.m., Community Room of Half Price books, 5803 E. Northwest Hwy., Dallas. PTAS is a 501(c)(3) charitable organization and chapter of the National Audubon Society. Organized in 1980, Prairie and Timbers Audubon Society serves Collin County and surrounding counties. We invite you and your family to join our all-volunteer range of nature-oriented activities. Monthly meetings are scheduled the 4th Tuesday, 6:30pm, September through November and January through May. They are free and open to the public. Programs are related to wildlife, ecology, conservation and of course, BIRDS! • To promote the preservation and protection of Spring Creek Forest as a cultural and natural resource treasure. • To facilitate scientific and educational pursuits by the public. • To maintain nature trails, an interpretive center, and parking lot. • To plan activities, such as school ecology classes, ecological and plant research, and nature interpretation. • To provide guided tours. • To guard against vandalism in the forest. The Friends of Southwest Nature Preserve supports the Arlington Park and Recreation Department in its work at SWNP and shares the City of Arlington’s commitment to protect this unique site’s natural resources. Our current projects include invasive exotic plant management, trail maintenance, aquatic habitat restoration and more. We also wish to enhance the public’s understanding of these natural resources through wildlife and plant surveys as well as providing public education opportunities. Southwest Nature Preserve was dedicated in October 2013, providing this area with new opportunities for outdoor recreation, nature appreciation and more. As a preserve, it’s a great example of eastern Cross Timbers ecosystem, characterized by woodlands and savanna grasslands, and enhanced by 4 ponds….providing a wide variety of habitats for diverse groups of wildlife. Programs are held on the 3rd Tuesday of the month, at 7pm, at the West Arlington Police Station. For program topics and current schedule, please check the website, and on Facebook as Friends of Southwest Nature Preserve. Located in Dallas’ historic Fair Park, Texas Discovery Gardens is a year-round organically maintained urban oasis filled with natural wonders. Family festivals, free admission days, and our extensive (and growing) EarthKeepers® student education program introduce children and adults to natural outdoor learning experiences. We are the first public garden in the state of Texas to be certified 100% organic by the Texas Organic Research Center. The gardens are maintained using sustainable methods that conserve water and help to protect the environment. At family events offered throughout the year, children and parents can share the experience of being amazed and inspired by nature’s intricate web of life. Gardening workshops and guided tours provide expert advice on using native and adapted plants to create backyard habitats for butterflies, birds and other native wildlife. Workdays 3rd Thurs. and 3rd Saturday, 9-11:30; meet at the greenhouse. * Daily butterfly releases, 12p.m. From its inception in 2008, as one of the National Audubon Society’s flagship environmental education center in the Central Flyway, Trinity River Audubon Center has been welcoming visitors to its sanctuaries and inviting them to participate in nature education programs. This innovative approach—preserving open space not just to protect wildlife and native habitat from people, but to actively engage people in its conservation through learning and exploration—served as a model for Audubon and other nature education centers nationwide and influenced the development of place-based experiential learning as a highly effective pedagogical practice. Trinity Valley Beekeepers Association is a non-profit club bringing together old, new, and aspiring beekeepers in the Dallas area. We are a group of people who share a passion for beekeeping. Our members range from professional beekeepers with many hives to hobbyists with a few (or even zero) hives. Our mission is to provide a forum for members and guests to meet and exchange ideas, to serve as a resource on beekeeping to our community, and to foster increased awareness of the importance of the honeybee and the beekeeping profession. 2nd Tuesday, 7p.m., The Point at C. C. Young, 4847 W. Lawther Dr., Dallas.